The Standard American Diet leaves much to be desired, and leaves the body shortchanged on many essential vitamins and minerals. Left unchecked these shortages can lead to a malfunctioning of basis systems throughout the body including the digestive system, neurological system, and circulatory system. It’s essential to get a mix of nutrient-rich foods into the body on a daily basis to give it a fighting chance against viruses and diseases. Here is a breakdown of some of the most crucial, and often overlooked vitamins and minerals, and why they’re so important. 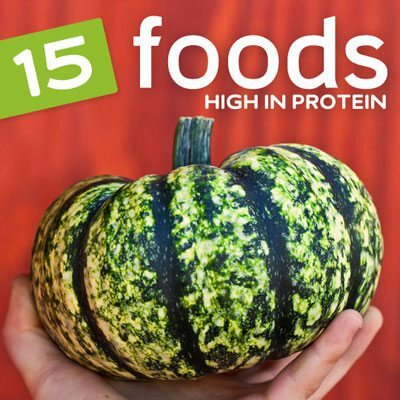 Here are the top 15 foods highest in protein to help you reach your daily protein target. 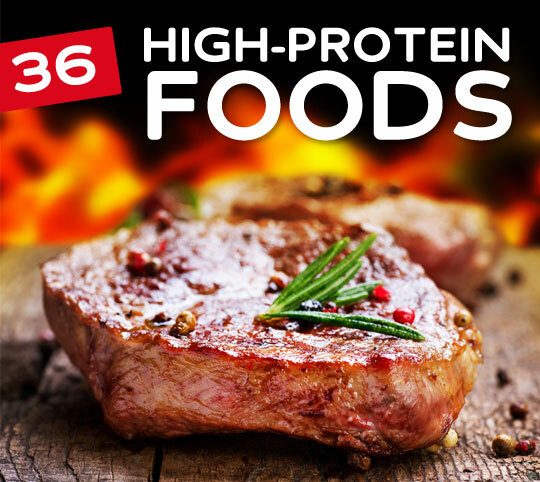 As you might suspect there are plenty of meats on the list, but there are also a few surprising sources of protein that are worth checking out. Whether you’re building muscle or just want to eat a properly balanced diet, this list can help. 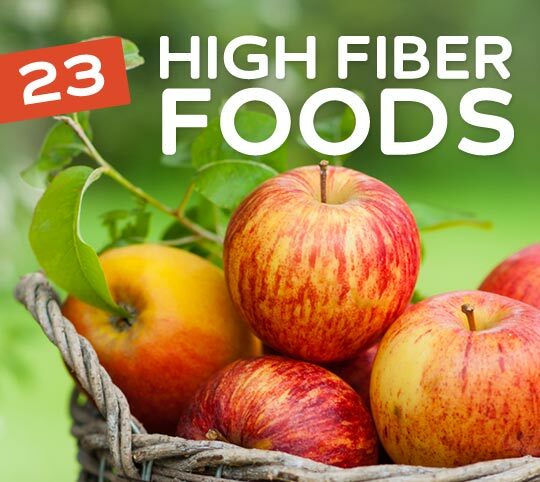 Reaching your recommended daily value of fiber each day is an important part of your overall health, and these high fiber foods will definitely put you on the right path. You’ll notice that not a single one will do the job itself, so it’s important to eat a varied diet full of fruits, vegetables, legumes, and grains to get you to your full day’s supply of fiber. 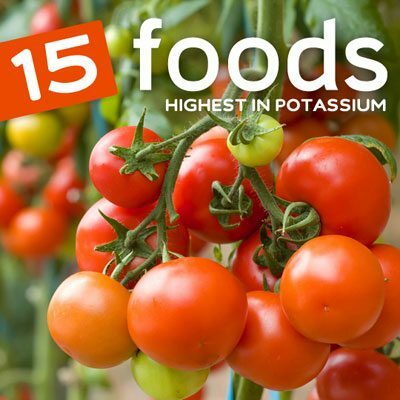 Find out which foods rank highest in potassium, as well as why it’s so important to keep a healthy level of potassium in the body. 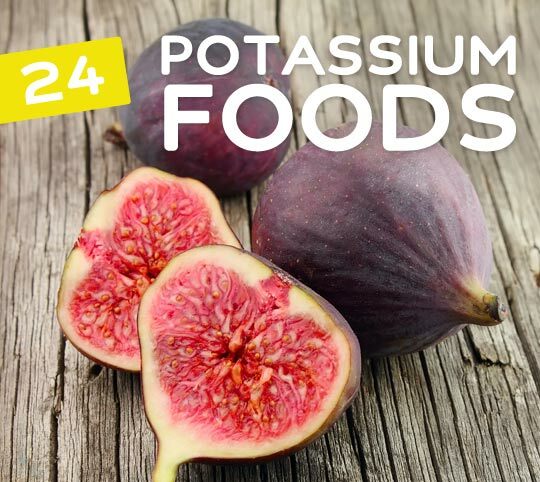 We’ve got the definitive guide to keeping your potassium level where it needs to be, and once you know the foods that have the most potassium, you’ll be able to shop with confidence. 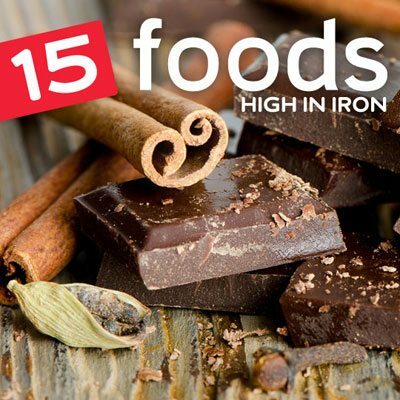 Here are the top 15 foods highest in iron that you should consider adding to your menu on a regular basis to keep your iron level where it needs to be. It’s best to eat a varied diet full of fruits, vegetables, protein, and healthy fat, but these foods will help give you peace of mind that you’re getting enough iron. 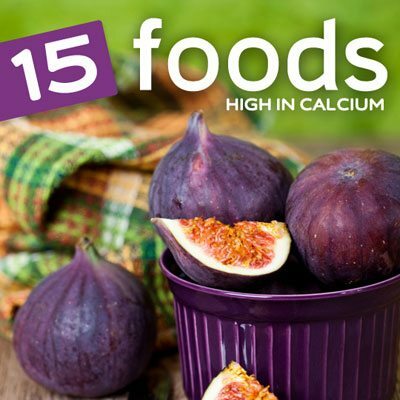 Here are the top 15 foods with the most calcium so you’ll have a strong grasp of the types of foods to seek out if you’re looking to increase your calcium level. 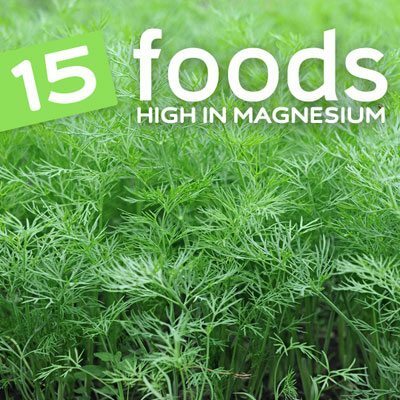 Each of these foods will help get you to the total number of milligrams of magnesium you need for the day. 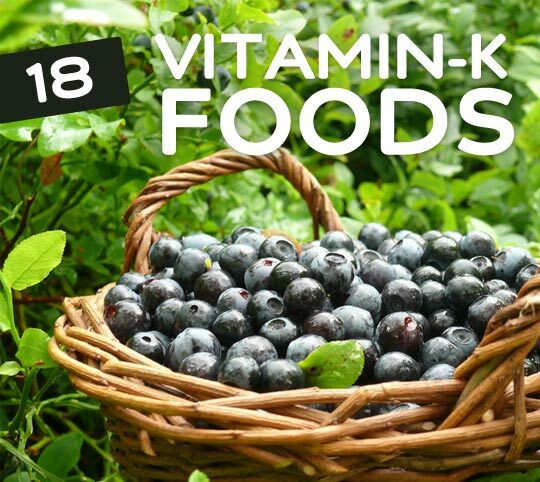 The good news is that they each contain additional vitamins and minerals you need, so you will be getting a broad nutritional boost by eating them. In many instances they also have other healthy factors like protein or fiber. Check out which foods rank highest in vitamin D so you can favor these foods if you’re concerned about your vitamin D levels. 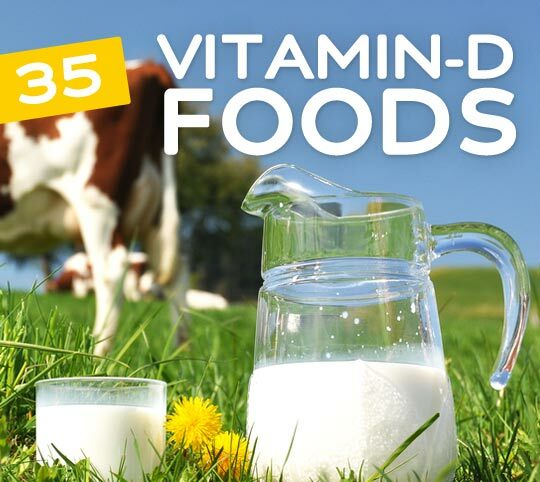 It’s always best to eat a balanced diet so you’re getting a broad range of all the vitamins and minerals you need, but these foods will make it so you’ll have an easier time of meeting your vitamin D needs. 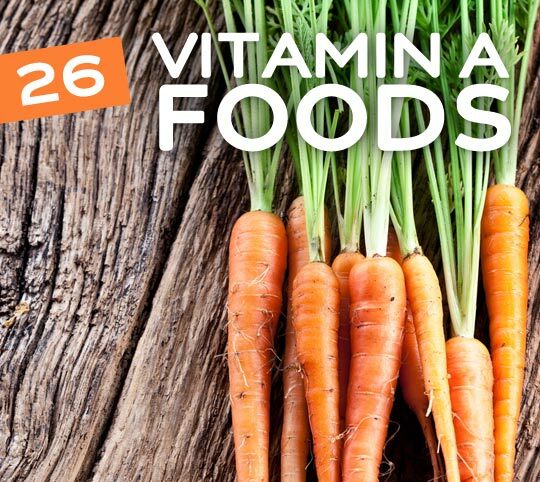 Strong teeth and bones are just the start when it comes to why vitamin A is so important in our diets. It can improve your vision, and helps to make sure that you’ll be able to maintain your eyesight as you age. It’s helps you make more white blood cells so that you aren’t as sick for as long as you otherwise would be when you do get sick. It also has antioxidant properties, helping to destroy free radicals and keeping the body running at optimal levels. You might want to think of this as the brain vitamin, as it helps to make sure you don’t suffer from brain shrinkage over time. But that’s not all it does, it helps several of your body’s key systems, including digestive and cardiovascular. There are also plenty of side benefits, like having better looking hair and nails. There are plenty of foods out there that can supply you with the daily allowance you’re supposed to get. Biotin is an important B vitamin, and one that you don’t want to go without for long periods of time. 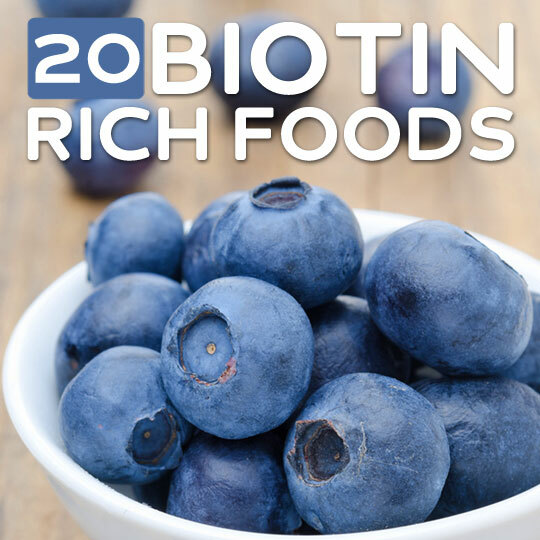 If you suspect you have a Biotin shortage, take steps to improve it through your diet before resorting to supplements. This is the most natural way to make up for any shortages, and is not too hard since most of the foods listed here are readily available and already part of many people’s regular diet. 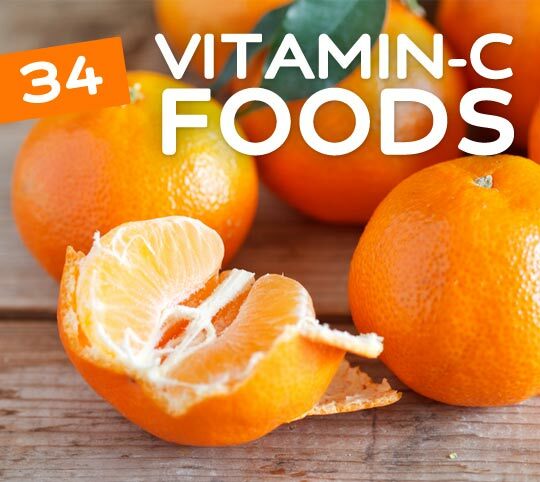 Most of us know that vitamin C can help stave off a cold, and boost our immune system so we’re less likely to get sick. The problem lies in the fact that it’s hard to consume so much fruit and vegetables in one day, even if you make a conscious effort to up your intake of vitamin C-containing foods. But the benefits are worth it, since you’ll be doing your best to battle back things like chronic diseases and strokes, and helping your body become healthier overall. If you have a case of dry skin, it might not be the weather, it could be low amounts of calcium. You might also notice that your nails are brittle. 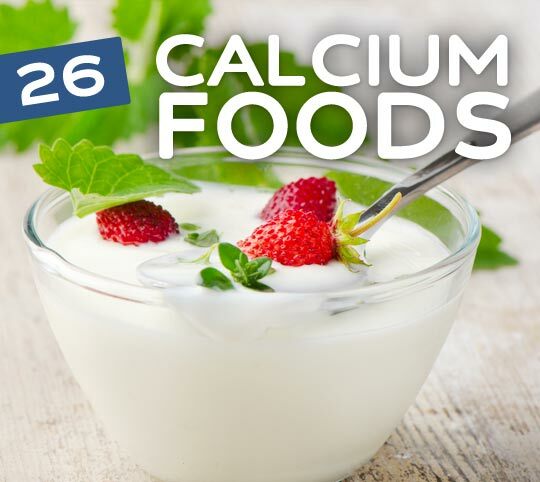 This is because calcium is good for your bones, teeth, and nails. It can also help women through their periods, be an ally in a battle with osteoperosis, and is also good for the heart if you don’t overdo it. This is one mineral you don’t want to overlook when taking into consideration your daily eating regimen. 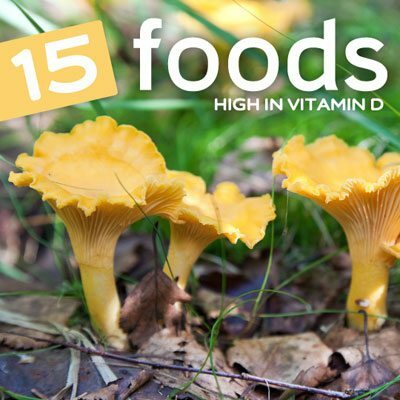 Vitamin D can be supplemented, and it can also be created by the body. Many people across the world have a Vitamin D deficiency, which causes an increased risk of cardiovascular problems and cancer. Getting more vitamin D into your system can result in increased levels of feeling happy, more regularity in regards to your blood pressure, and can help your bones and muscles become stronger. 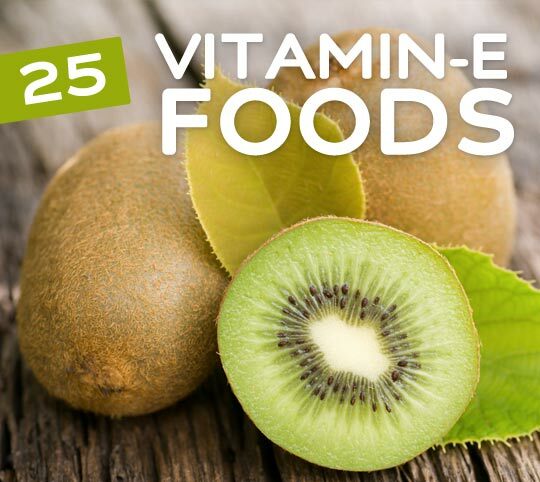 Getting more sun is part of the answer, but you can also eat foods that are rich in vitamin D.
Your skin will thank you when you’re getting the right amount of Vitamin E from natural sources. Aside from the benefits it provides to your skin and hair, this is also high in antioxidant value. This means it will help with a host of problems including preventing chronic diseases, and lowering your cholesterol levels. If you end up getting a cut or other scar-leaving wound you can count on proper vitamin E levels to prevent scarring. 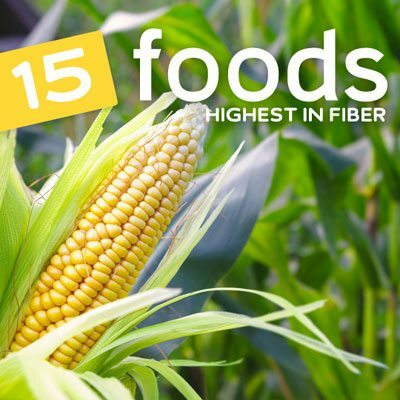 Fiber helps keep things moving through the digestive system, reduces the transit time of food, and helps your body eliminate toxins by helping to keep your colon in top form. You don’t want to rely on fiber-infused foods you can find in boxes at the store, as there is plenty of dietary fiber found in fruits and vegetables. Not getting enough fiber leads to things like constipation and hemorrhoids, so it’s best to be sure you’ve got it covered. Just be sure to ease your body into getting more fiber. 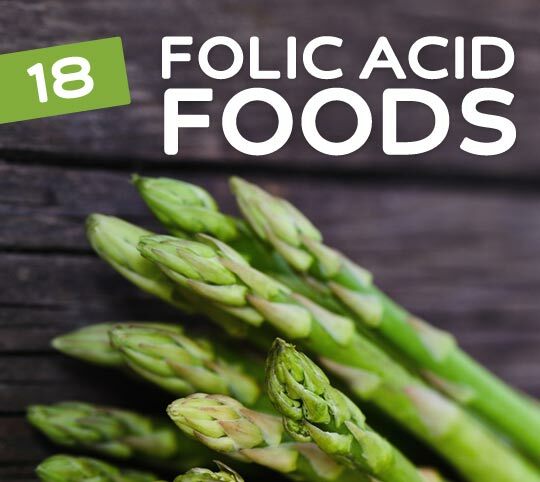 The number one reason why you want to make sure you’re getting enough folic acid is because it helps you be in a better mood. It’s also responsible for helping your heart function at its best, and keeping your brain sharp. If you don’t get enough of it you might find that you’re moody, that you can’t think clearly, and men might find that their libido isn’t as high as they’d like it to be. The thyroid plays a major part in the body, and iodine can help it stay healthy. It’s also good for keeping your energy levels up, keeping your hair and nails looking good, and helping to get rid of toxins from the body, even helping to clear out some of the toxic metals that can be found in the body. 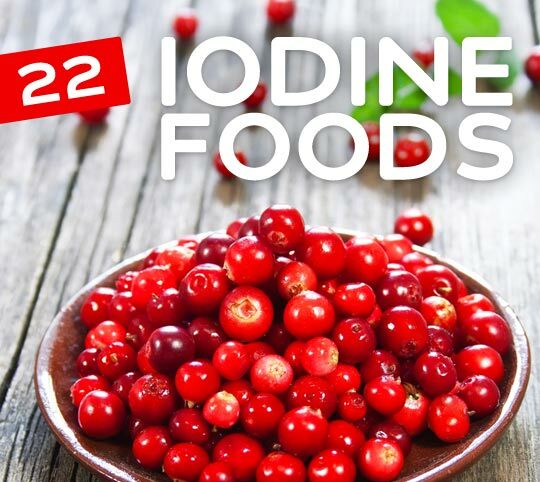 If you don’t get enough iodine you might find yourself feeling sluggish and gaining weight. 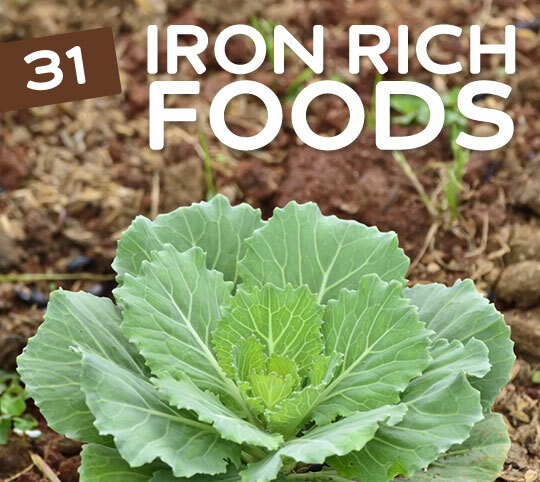 Iron is one mineral you don’t want to be without. The first thing you’ll notice if you’re not getting enough iron is that you feel tired all the time. If you find that you can’t last long while exercising, it might not simply be because you’re out of shape, you could also be running low on iron. There are plenty of iron-filled foods out there to keep you topped off, so in most cases it just takes a few diet adjustments to get enough. Vitamin K doesn’t get a lot of media attention the way some of its vitamin cousins do, but it’s a pretty powerful addition to your diet. It helps make your bones strong, and can help your brain as well. You can find this in several different green foods, most notably spinach which is one reason that’s considered a superfood. For women it can help regulate menstrual cycles, and it helps blood clot for both genders. 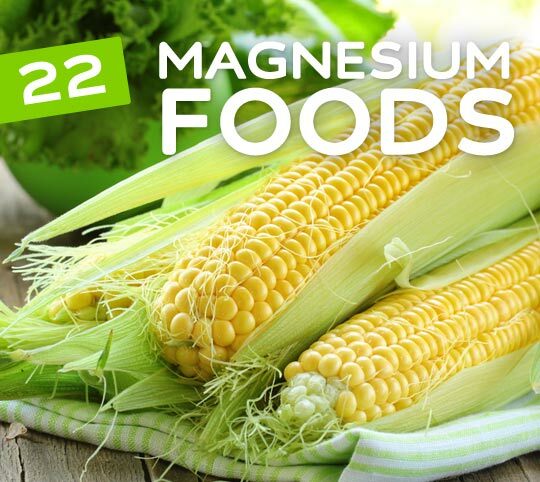 Some of the most notable benefits of magnesium include helping to prevent diseases of the heart, and along with calcium helping to undo osteoporosis. You might find yourself overly anxious or depressed if you’re not getting enough of this vital mineral. The good news is that it’s not too hard to get more of it into your diet, by paying a bit more attention to foods that are rich in it. Getting enough niacin is important to your health and well-being, and is a vitamin that shouldn’t be overlooked. Luckily there are plenty of delicious foods that contain it in large amounts, making it easy to consume your daily needs. 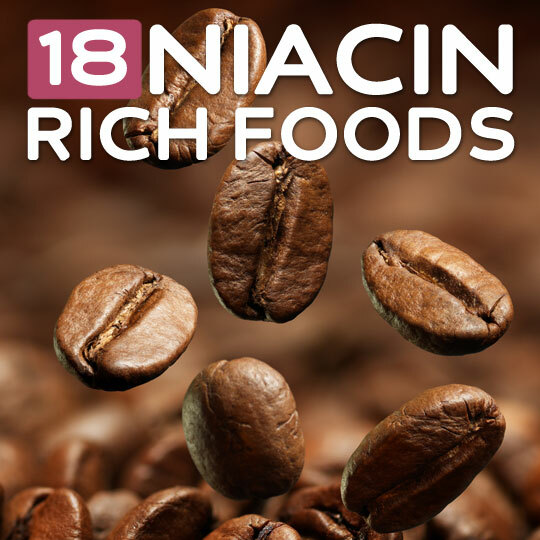 If you’ve been told you have a niacin deficiency, paying extra attention to these foods will turn things around pretty quickly. 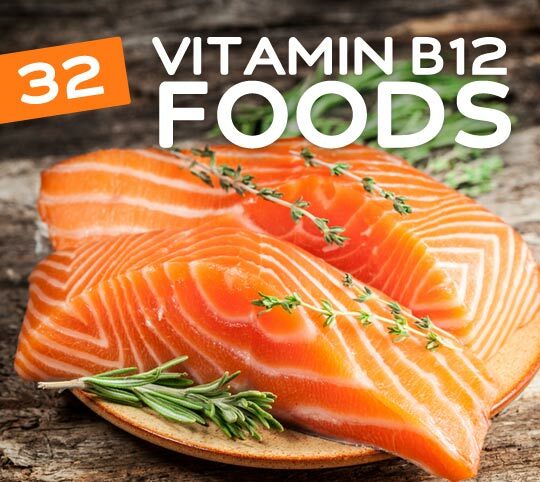 Omega-3 consistently makes the news with more and more health benefits attributed to it, so it’s a good idea to start incorporating more of these foods into your daily menu. 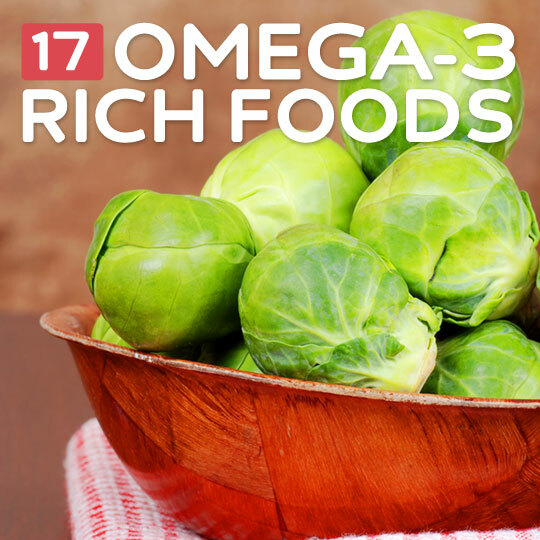 But aside from some well-known sources, where else can you find omega-3 fatty acids in abundance? We’ve gathered some of the best, and tastiest sources, including a few you might not have known about. Low potassium levels can lead to having aching muscles, an irregular heartbeat, and other symptoms. Getting enough potassium will help with your digestion, as well as the functioning of your muscles. You’ll also be reducing your chance of having a stroke. Bananas often get the credit for having plenty of potassium, but there are other foods that have even more than they do. Avocados and apricots are just a few other high-potassium foods you might be lacking. Protein helps your muscles heal and rebuild themselves, so it’s a good idea to make sure you’re getting enough of it if you’re strength training or lifting weights. It also helps you to feel full, so adding a quality protein to a meal with vegetables and carbohydrates is a good way to be in the zone and cruise through to your next meal. There are plenty of great-tasting foods that are high in protein, so this is typically one of the easier dietary changes to make if you’re coming up short. Find out how to start getting more of this important mineral. 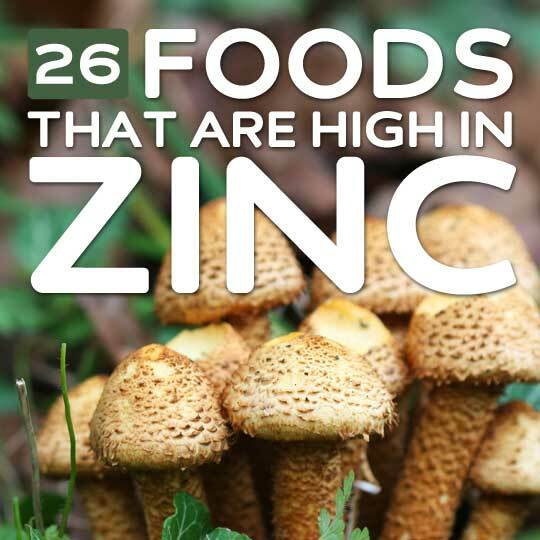 We’ve assembled some of the best foods you can eat to make sure that your zinc levels are in the right place so your body can function at its best. Get this mineral covered and you’ll be helping to fight chronic inflammation, boost your immune system, and increase your heart health. 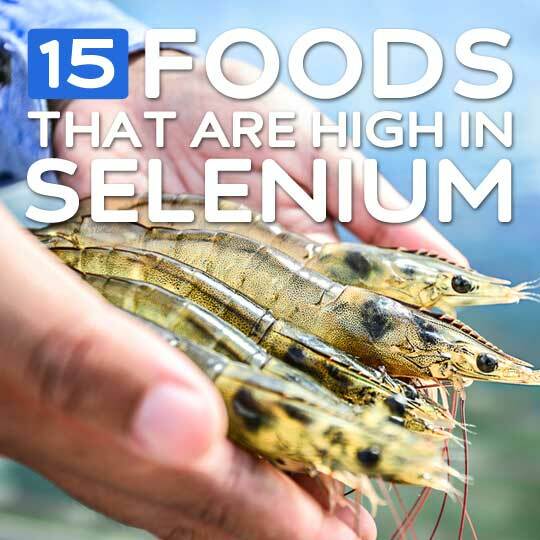 In all likelihood you’re probably not running low on selenium, as it shows up enough in a standard healthy diet to not be a problem. But if you’ve been told that you’ve got a shortage going on, and need to concentrate on foods that will top you up in a hurry, these foods are the way to get the job done. 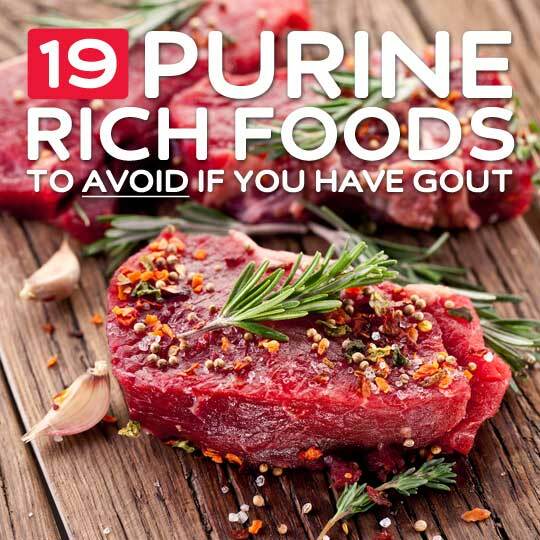 Gout attacks can be debilitating, and managing your diet is part of the prevention process. Here is our list of foods high in purines so that you can avoid them and hopefully remain symptom free. 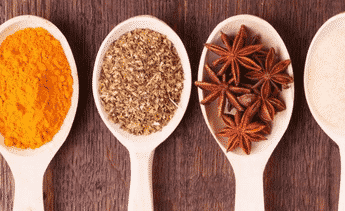 Of course, it’s always best to talk with your doctor to discuss your individual situation, but this will give you an overview of some of the most common foods to stay away from. Why Is Eating Whole Foods Important? Whole foods represent what we’d be eating if we weren’t stuck in a modern society. They speak to us on a primal level because it’s what our ancestors ate for millions of years. Sure, fresh fruits and vegetables might not be as flashy as all of the packaged foods screaming to you at the supermarket, but they are real food, the way nature intended, especially if you opt for organic whenever possible. In order to see why it’s so important to eat whole foods, you simply have to look at the negative consequences of basing your diet primarily around pre-packaged, chemically laden foods. These have been shown to make us fatter, dumber, and lazier, with almost no nutritional value whatsoever. Things like trans fat, high fructose corn syrup, and MSG don’t show up in the foods provided to us by nature, and the body does its best to deal with them. When you buy foods that come in a box with a Nutrition Information label on them, there’s a strong possibility that there’s something in it that you wouldn’t want to consume. This is because you are trusting a food corporation to provide you with a nutritious product, and it just doesn’t happen. It all starts with a focus on profits and the bottom line, so even though the label might sound like it includes healthy ingredients, you’re often getting the lowest cost foods from suppliers that do whatever it takes to keep costs low, like using pesticides and herbicides, and genetically modified foods. When you eat whole foods you can be pretty sure that an apple is just an apple, or a carrot is just a carrot. There aren’t many ways to sneak in toxic substances, as long as you’re buying organic. It’s important to realize that there likely won’t be a quantum leap whereby you eat one piece of fruit and start to feel amazingly better. It’s a cumulative effect, and requires that you slow start to adopt more whole foods into your diet, displacing some of the packaged foods with ingredients you can’t pronounce. Over time you’ll notice that you’re feeling better, and that you naturally make smarter decisions when it comes time to your food choices. With whole foods it’s more about what you’re not consuming, since you’ll have a pretty good idea of what’s in your food, rather than eating foods with mysterious ingredients that most likely don’t have a positive effect on the body. Lana, All goat mik is A2 (Google A@ Milk) and is easier to digest and the BCM7 does not get out into the blood stream. Read “K2 and the Calcium Partadox” by Kate Rheume-Bleu. A very good book about how to keep your arteries clean and your bones strong. Perhaps a list of zinc-rich foods as well? A hearty-full thanks for all the information provided. By far this is the best page i have ever visited to know about healthy food. very good effort . But from where i can take beta carotene and lycopene ? this should be of help. Great site..i have learned a lot from this and ill share this to my students..
A really amazing site which has helped me a real lot!! I’m doing a project on this and this is perfect for my research.